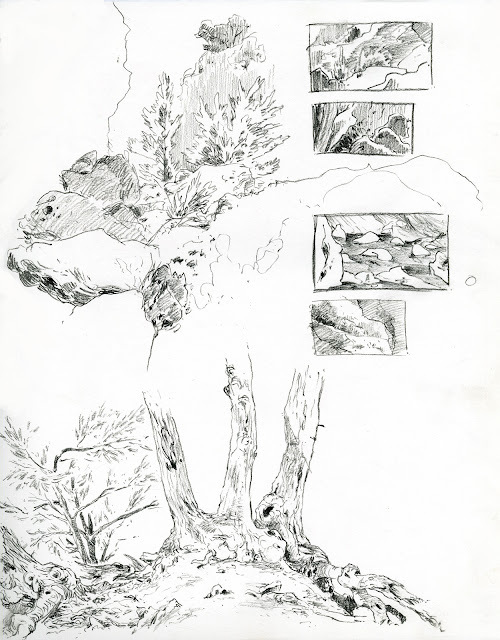 A page of landscape sketches from Malibu Canyon. Some friends have been going rock climbing up thattaway, and I've tagged along to draw and swim @ the dam. Great place. Nice. As always. But I especially love trees and nature drawings.